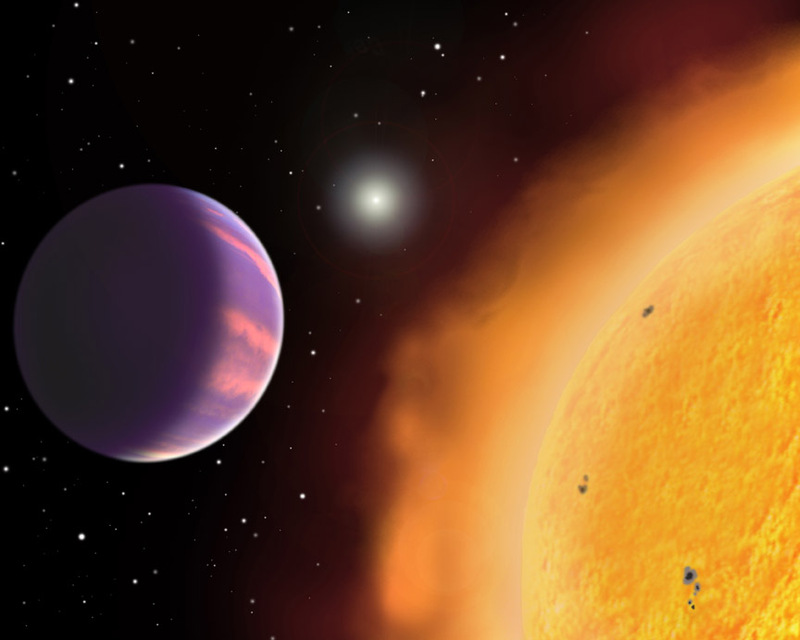 Scientist are puzzled by the latest extrasolar planet discovery. The is planet named HAT-P-1, after the telescope system which discovered it using the transit technique. That means it was discovered by detecting the dimming of it's parent star as the planet passes in front of the star blocking out some of the light. This technique allows the diameter of the planet to be measured as well as its mass. Using that information the planet's density can be calculated. This particular planet has a radius of 1.38 times that of Jupiter, the largest planet discovered to date. However, it only has a mass of half Jupiter's, giving it a very low density. It's density is about half that of water, similar to cork ! This gives scientists a problem in explaining how the planet formed, as current models would require a much denser body to have enough gravity to grow to the observed size. For an excellent insight into the latest theories of planetary formation, and extrasolar planet discoveries check out October's issue of Astronomy magazine, which is an extrasolar planet special issue.